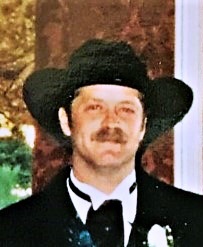 David William Huff, 60, formerly of Nederland, Texas, died Tuesday, November 13, 2018. He was born on January 25, 1958, to Mary Barbara Fallwell Huff and Lynas Anders Huff, in Port Arthur. David was a machinist by trade and loved the outdoors. He loved guns and even machined a small cannon. He was the premier Indian Dancer for the Boy Scouts of America and performed at many ceremonies at Camp Bill Stark in his youth. He loved gardening and could produce many times where others failed. As the 3rd of four brothers, he walked before he ever crawled always wanting to be part of action and he typically always right in the middle. He was preceded in death by his son, William Andrew Huff; his parents, Lynas and Barbara Huff; and brother, Stephen R. Huff. He is survived by sons, Christopher Jason Huff of Vidor, Texas and Tristin David Huff of Meadville, Mississippi; brothers, Mark R. Huff and wife, Nell and John P. Huff and wife, Shel, both of Beaumont, Texas; and one sister, Margaret Huff Ronquille and husband, David, of Sour Lake, Texas. A graveside ceremony will be held at 11:00 a.m. on Saturday, December 8, 2018, at New Salem Baptist Church Cemetery in McCall Creek, Mississippi, with the Priest from St. Francis of Assisi Roman Catholic Church, Father Henry Shelton, of Brookhaven, Mississippi, presiding. Memorial contributions may be made to the American Cancer Society, 4 Bayou Brandt Drive, Suite B, Beaumont, Texas 77706 or to an Organization of One’s Choice.